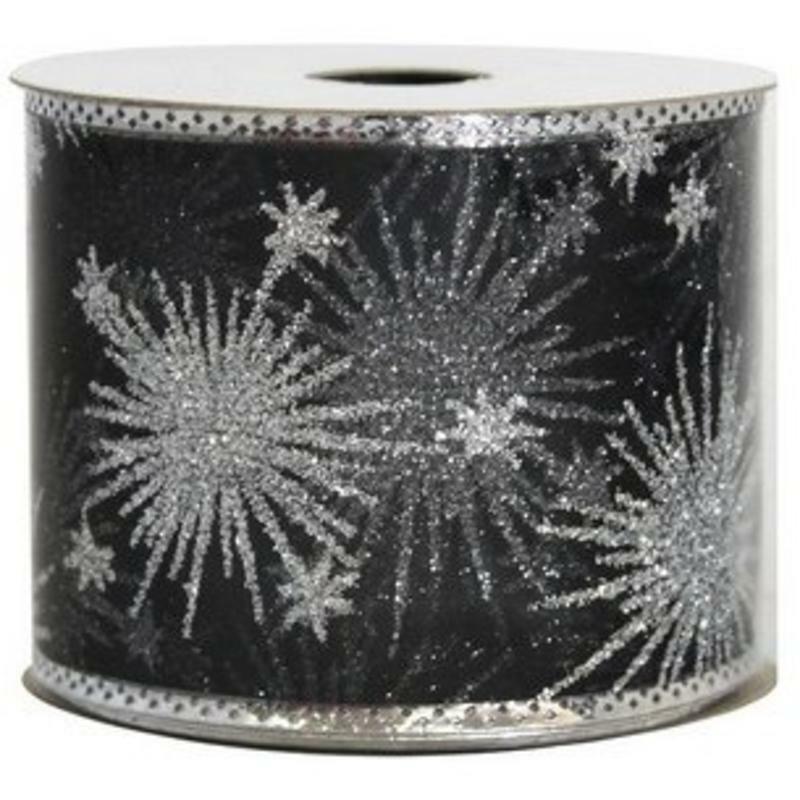 There is a chic and sophisticated air to the 9-metre spool of Silver Starburst Black Sheer Ribbon. 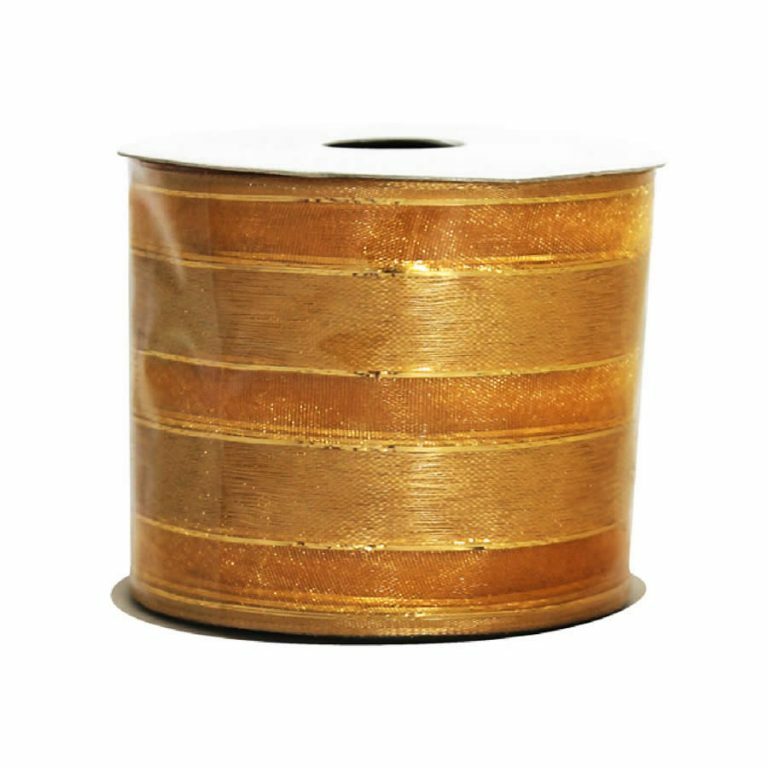 Imagine how beautiful your bows and trims will be when crafted from this lovely 7cm wide quality ribbon. 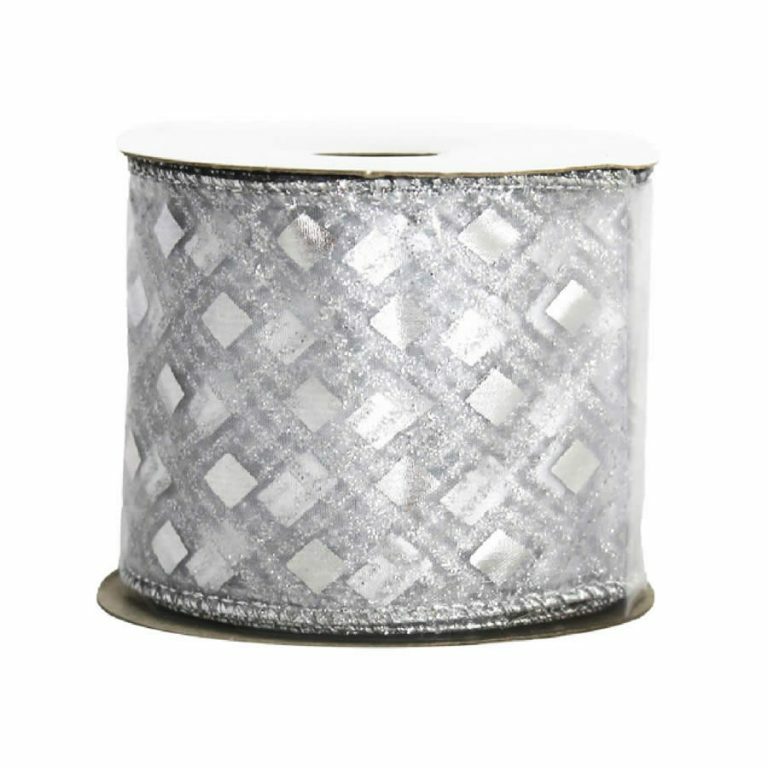 There is a discreet silver wire edge that makes bows stay fuller longer, and that helps to hold your creations in place when you take the time to make your own with this ribbon. The sheer black facade is adorned with glitzy silver starbursts, and the silver edging and trim complement this design. Try using this on a simple, tissue-wrapped package for a beautiful presentation that will be admired and enjoyed by people on your gift-giving list this year. 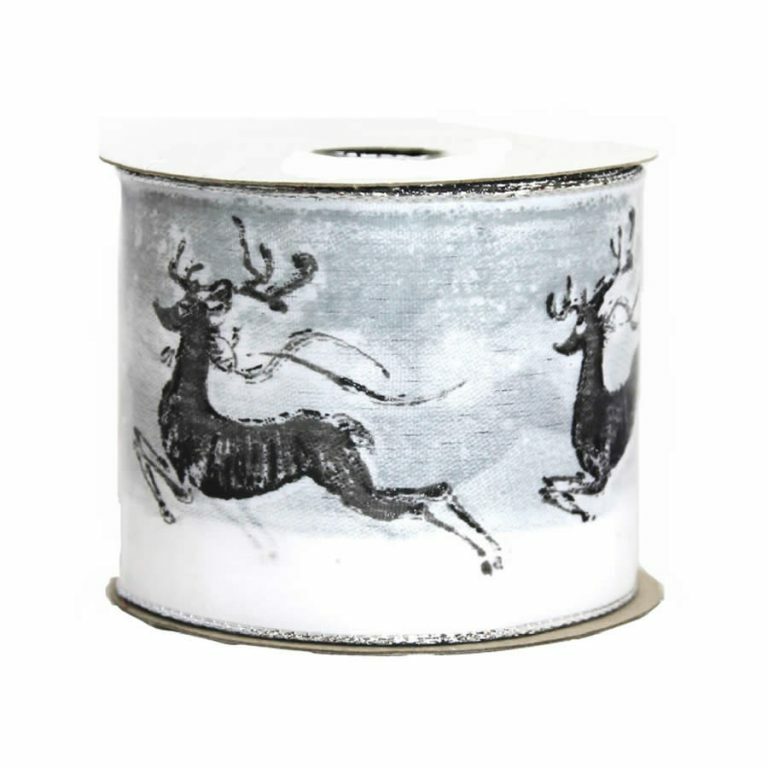 This would be absolutely stunning when used to drape a holiday tree that is embellished with clear or pure-white LED lights, which are also offered and sold separately. 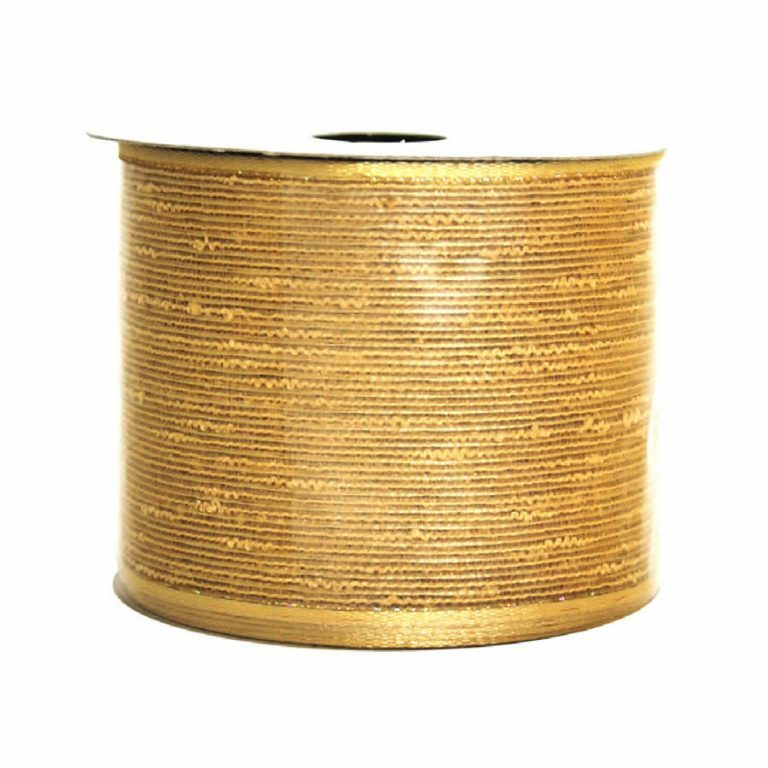 The light will shimmer and create a sparkling effect on this captivating ribbon.